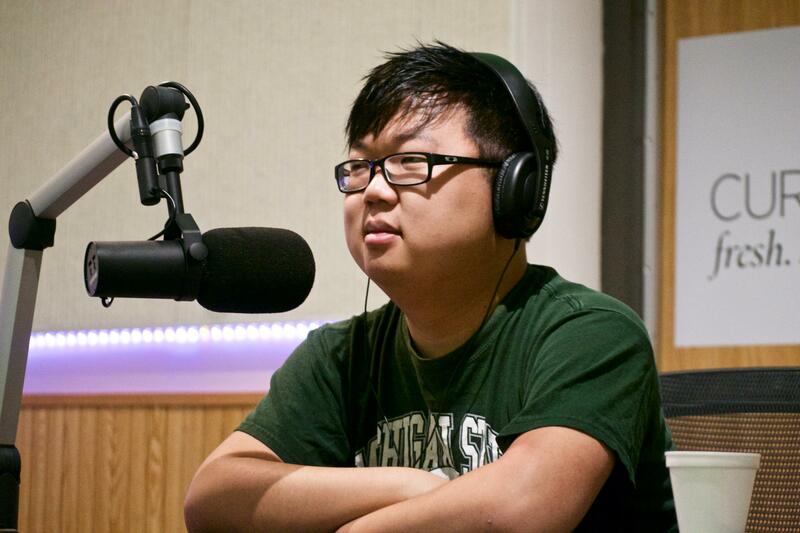 SungWon Cho AKA ProZD at WKAR Studios. Michigan State University alumnus SungWon Cho, known online as ProZD, is making quite a name for himself. Cho has amassed a large digital following from his apartment in Haslett. He earned his popularity on Vine, Twitter’s now defunct video service where users were limited to 7 seconds of content. While best known for a string of viral videos, Cho’s main passion is voice acting. He has been featured in video games for the PlayStation 4 and Steam Network. He has dedicated fans that love to watch him do something as plain as eat a bowl of ramen noodles. Cho graduated from MSU in 2012 with a degree in Media Information and Technology. It didn’t prepare him for YouTube stardom, but gave him the tools he needed to get started. Tyler Oakley, MSU’s Homecoming Grand Marshal is another MSU alum with millions of subscribers on YouTube star. Cho will continue to upload on YouTube, but is expanding to the streaming service Twitch. You can catch his voice acting later this year in “A Hat in Time,” which will be available on PlayStation 4 and Steam.